ליומן הרשת isoc.org.il הצג/הסתר "מה חדש"
The Academy of the Hebrew Language is the world’s premiere institution for the Hebrew language, and in Israel, its decisions are binding on all governmental agencies. Here, as one would expect, new Hebrew words and terms are created, and standards are set for grammar, orthography, transliteration and punctuation. Its flagship endeavor, however, is its work in preserving the Hebrew language and its development through the Historical Dictionary Project. The Ma'agarim website has been made available to the public during 2014-2016 through the support of the National Heritage Program in the Prime Minister's Office. 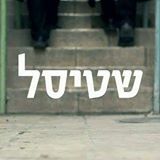 The paramount project of the Academy of the Hebrew Language is the Historical Dictionary; the creation of this enormous and most important enterprise was decided upon shortly after the Academy was established in 1953.The aim of a historical dictionary is to relate the history of the words of a language by answering questions such as: When did the word first enter the language, and is it still in use? What were the word’s original form and meaning and how did they change over time? Siguelo en facebook o youtube (hay otros periodistas, palestinos e israelies que cubren este "evento" semanal.